Newbery Honor winner Janet Taylor Lisle's gorgeous and profound new novel about a pivotal summer in two girls' lives explores the convictions we form, the judgments we make, and the values we hold. The pond is called Quicksand Pond. It's a shadowy, hidden place, full of chirping, shrieking, croaking life. It's where, legend has it, people disappear. It's where scrappy Terri Carr lives with her no-good family. And it's where twelve-year-old Jessie Kettel is reluctantly spending her summer vacation. Jessie meets Terri right away, on a raft out in the water, and the two become fast friends. 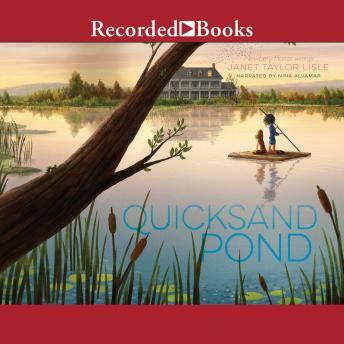 On Quicksand Pond, Jessie and Terri can be lost to the outside world-lost until they want to be found. But a tragedy that occurred many decades ago has had lingering effects on this sleepy town, and especially on Terri Carr. And the more Jessie learns, the more she begins to question her new friendship-and herself.